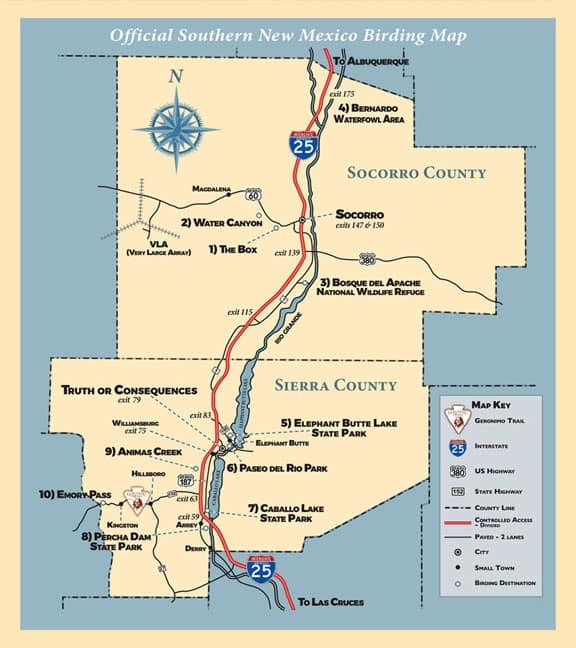 There are four different biolife zones within the borders of Sierra County and Socorro County — making for some of the best birding in the state! 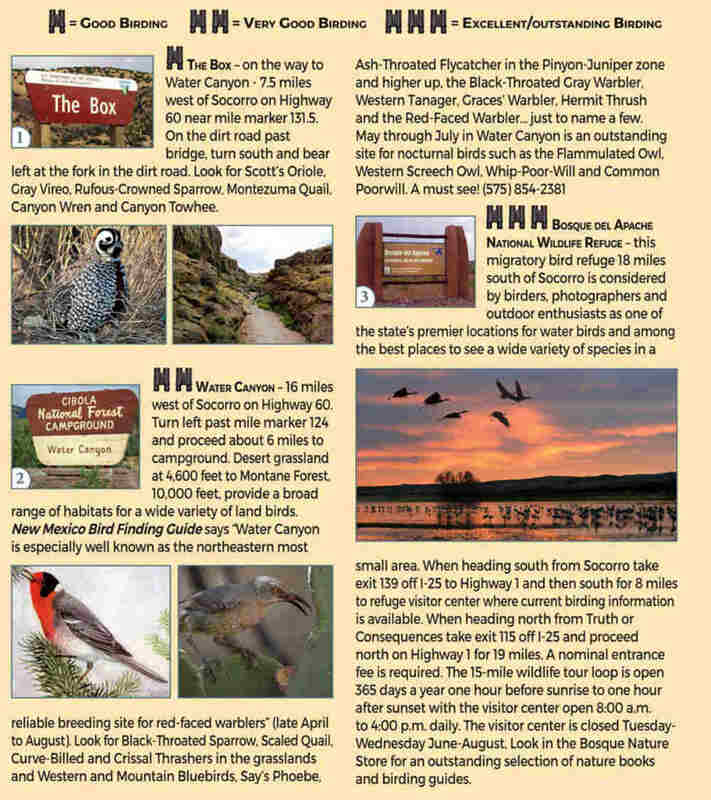 More than 368 species of birds have been spotted at the Bosque del Apache alone. 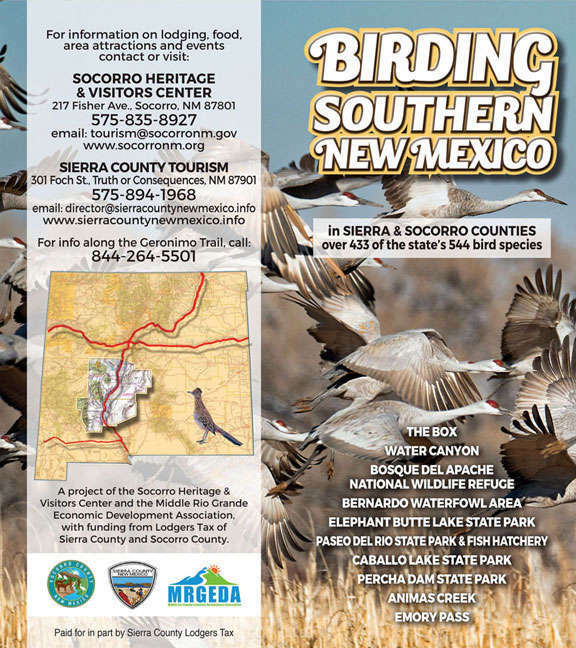 Other birds you might see in Socorro and Sierra County include Warblers, Sparrows, Quail, Thrashers, Flycatchers, Bluebirds, Tanagers, Owls, Whip-Poor-Wills, Cranes, Hawks, Eagles, Terns, Sandpipers, Curlews, Ducks, Roadrunners, Grebes, Pelicans, Hummingbirds, Quail, Coots, Snow Geese, Cormorants, Jays, Chickadees, Juncos, Siskins, Osprey, and Vultures. 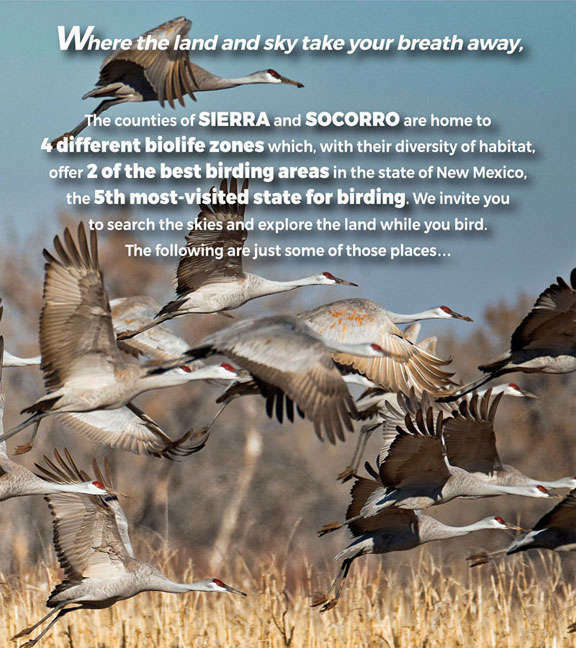 Thank you for your interest in Southern New Mexico birds / birding in Southern New Mexico!